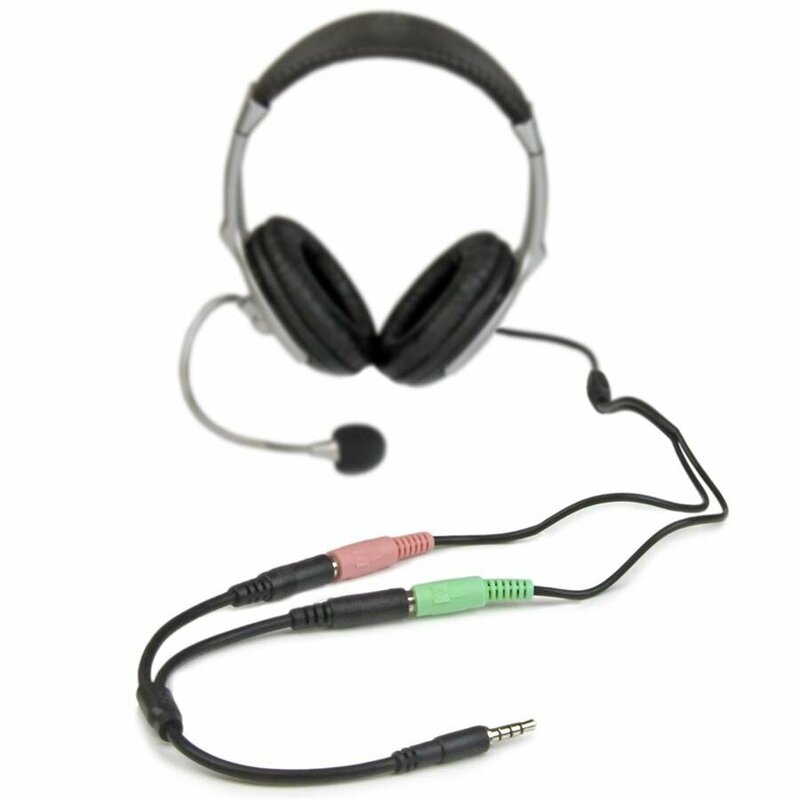 The MUYHSMFF Headphone/Microphone Combo Jack splitter (4-position 3.5mm to dual 3-position 3.5mm) is a headset Splitter Adapter featuring one 3.5mm Male (TRRS) and two 3.5mm (TRS) Female connectors, enabling you to add a mono microphone input, as well as a stereo output to your PC or Laptop, through a single 3.5mm audio port. It can turn the combo port into two distinct ports – one 3.5mm headphone jack and one 3.5mm microphone port. While some laptops from Apple and Dell feature only a single (4-position) 3.5mm audio port to support both audio input and output, this innovative headset splitter adapter breaks the audio port out into two distinct ports - one that can be used for a microphone input connection, and the other for connecting external (output) speakers. 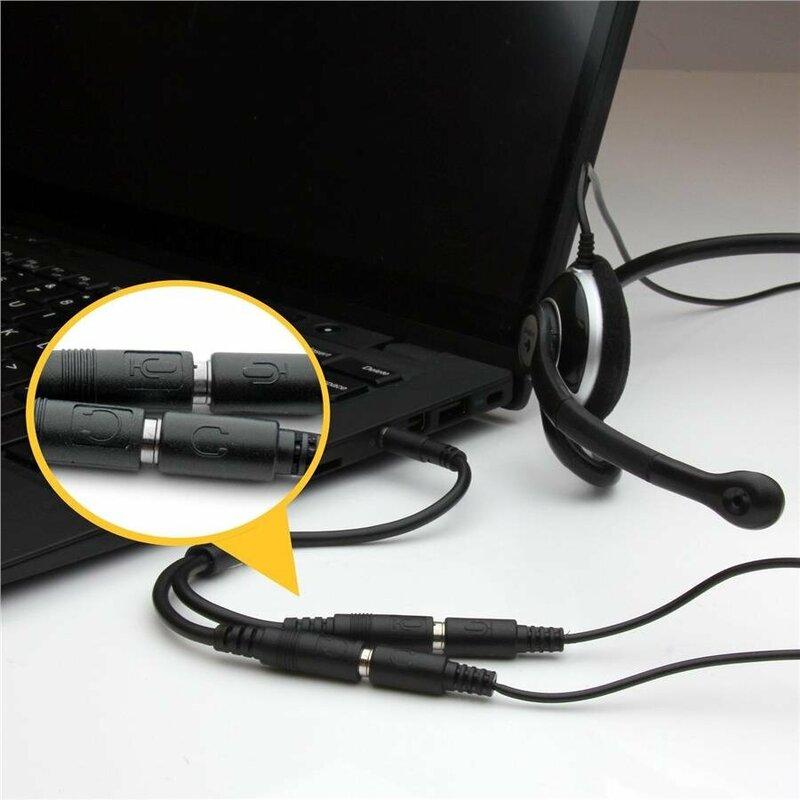 The headset splitter features a compact and sturdy design to deliver the perfect solution for applications that require portability, and takes up very little space in your laptop bag. This adapter is not a headphone splitter/Y-cable. It cannot be used to split the audio output to two separate sets of headphones or speakers. Some laptops and mobile devices will not work with all external microphones. This is typically caused by an impedance mismatch between the microphone and the device, due to hardware incompatibility - it is not a limitation of the MUYHSMFF adapter. To ensure proper hardware detection, we recommend that the external headset be plugged into the adapter first, before the adapter is connected to the computer or mobile device.